The owners, staff and volunteers at Books on Beechwood wish you all a very happy holiday season and thank all our customers for helping make the bookstore such a pleasant place to work. Best wishes from Antionette, Bonnie, Brian, Bridget, David, Di, George, Hilary, Jill, Margaret, Nicholas, Peter, Sarah and Stephanie. Dec 24th: close at 3.00p.m. Dec 31: close at 3.00p.m. The last session of our Dine & Discuss series at Fraser’s Table 40 restaurant featured Elizabeth May talking about her book “Who We Are”. The enthusiastic sold-out crowd responded with lots of questions which Elizabeth answered with her usual brio. Elizabeth led the applause for the excellent meal provided by Frasers. Tickets to the event cost $40 and include the family style meal (with vegetarian option but no substitutes). Taxes, 17.5% gratuity and refreshments are extra. Places must be reserved in advance at the bookstore with a deposit of $20. Treating someone to this event would make a great gift! Make your reservations now. The best gifts of all are books. We have a selection to appeal to any taste. There is a good selection of cookbooks that we carry year-round but sell mostly near Christmas. Cookbook is a poor description for many of them-they are really food bibles with mouth watering photos and songs of praise for food. Ottolenghi’s latest book “Plenty More” is a great example with its fabulous photos of vegetable dishes. The gift recipient does not have to be an expert cook –just a foodie. 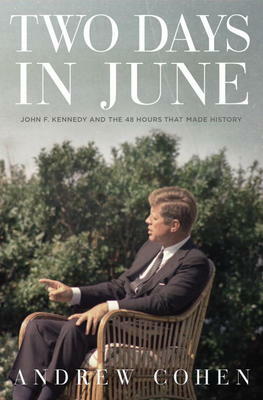 We have books on gardening, crafts and nature as well as our strengths of history, biography and politics and fiction. On our on-line store (store.booksonbeechwood.ca) you can find lists of national best-sellers in various categories plus some staff picks. Look under the Features tab. You can also make up your own lists on line for later ordering or for sorting potential choices and bringing to the bookstore. For anyone stumped for ideas, our staff members often have suggestions. We not only read lots of books, we also get welcome feedback from our customers about books that they have read. Popular choices for gifts are the book prize winners. Here’s a short list of recent winners. Mann Booker Prize for English Language Fiction: “The Long Road to the Deep North” by Australian Richard Flanagan. This is a tale about Australian prisoners of the Japanese who are building the railroad in Burma and about the aftermath for the survivors. It is brilliantly written and necessarily gruesome but what stays in the mind are the post-war consequences for both Australians and Japanese. For Fiction: “The Back of the Turtle” by Thomas King. For Poetry: “Lake of Two Mountains” by Arleen Pare. For Non-Fiction: “The Longer I’m Prime Minister: Stephen Harper and Canada, 2006-“ by Paul Wells. The jury said “This no-holds barred romp into the inner sanctum of the “Harper government” is sometimes hilariously irreverent, but always astute and based on meticulously accumulated details. The TD Children’s Literature Award: “The Man with the Violin” by Kathy Stinton and Dusan Petrocic. Our December hours are the same as usual except that we close at 3.00p.m. on Christmas Eve December 24 and re-open on December 27th. Similarly we close at 3.00p.m. on New Year’s Eve and are closed on New Year’s Day. On behalf of our staff, I wish you all a wonderful Christmas and a Holiday Season full of joy and good books. This is a writer, writing a novel about another writer’s life. 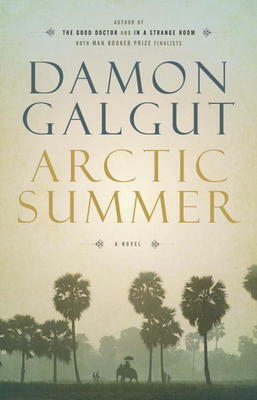 In Arctic Summer Damon Galgut tells the story of E.M. Forster, how he became interested in India and how his beloved book A Passage to India gradually took shape. Galgut describes Forster’s own personal life, an only child who lost his father when he was just two years old, lived closely with his mother until he went to Cambridge, later tutored a young Indian who was going up to Oxford, and finally made the trip to India to see his young friend. Forster, or Morgan as he is called here, slowly came to recognize his homosexuality and the difficulty he had in making close relationships. While he constantly sought affection, desire or lust interfered and he was left unfulfilled. The British reticence among his mother’s friends didn’t help although there are interesting sections on some famous authors he got to know, e.g. Virginia and Leonard Woolf and D.H. Lawrence. Forster made a second, longer trip to India and there are lovely sections describing life in that country. He did find happiness, although the mystery of India remained with him. Slowly but surely the script of A Passage to India developed and became a book. Galgut has won international prizes for his books, In a Strange Room and The Good Doctor. He lives in Capetown, South Africa, a city populated by people of all different races and creeds, which is apparent in a book like this one. If you’re already a fan of Alexander McCall Smith’s novels, you’ll realize it’s hard to find new ways to praise this “prolific, popular and wonderfully peculiar writer”. But you’ll be pleased by the newest addition to perhaps his most popular series, The No. l Ladies Detective Agency. 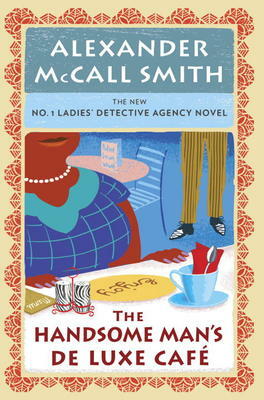 Entitled The Handsome Man’s De Luxe Cafe, this novel takes us to Botswana where McCall Smith was once a professor of law at the University. He also grew up in the country now known as Zimbabwe. Although he has been living for many years in Edinburgh, he has never forgotten his love for the people of Africa, for their culture and their kindness. Precious Ramotse runs the No. l Ladies Detective Agency. She is married to the owner of the Garage, a business right next door to their home. She also has an assistant who has been promoted from secretary and is now planning on opening her own de luxe cafe. This group is brought a professional problem to solve, i.e. a woman who has lost her memory and cannot sort out her life. Precious shows her gentle wisdom and shrewd kindness and the story is captivating from every angle. In the rapidly changing world we now live in, M.G. Vassanji’s whole life is an example of these changes. He happens to be a writing genius and so we can share in his amazing experiences in more than one “home”. In his newest book, he concentrates on a part of the city of Dar es Salaam where he grew up as a boy and revisits because he still loves the area. Vassanji’s people came from Gujarat, India. Two generations before he was born, they crossed the Indian Ocean to settle in East Africa. He was born in Kenya but grew up in Tanzania. He gives an affectionate description of the Indian section of Dar es Salaam called Kariakoo which was full of Indian traders setting up business with their African neighbours. These Africans had a close family life, full of music and community celebrations. Vassanji’s own life took him abroad to study in the United States and eventually settle in Toronto where he know him from his prize-winning stories and novels. This book gives a good description of some of the highlights of Dar es Salaam’s history, i.e. some of the story of Stanley and Livingstone; the troubling years of German missionaries in German East Africa; the revolutions of l964 when Kenya and Tanzania, as well as the island of Zanzibar gained independence from Great Britain only to suffer later from socialist austerity. 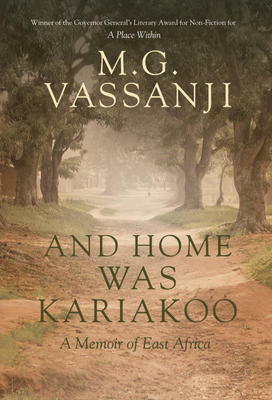 But Vassanji remembers another whole aspect of Africa and is saddened when he reads only bad news from that continent. His memories are of a joyful land and this book goes a long way to show that.